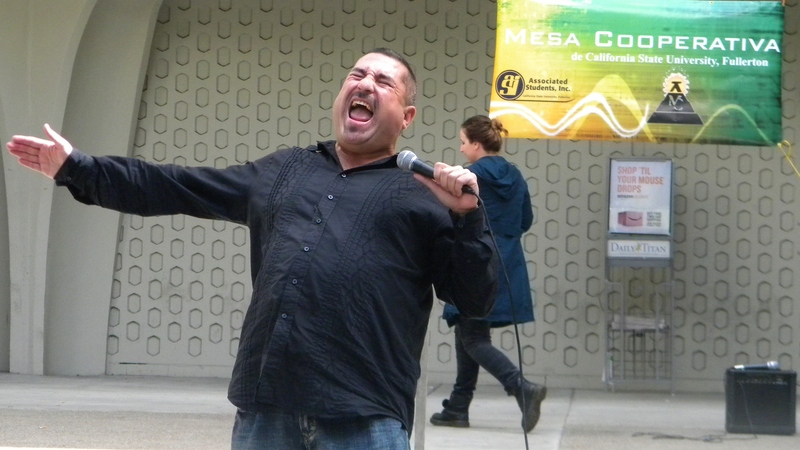 Comedian Ernie G captured a small crowd with jokes about his experience living as a Latino Thursday afternoon in front of the Humanities Building at Cal State Fullerton. 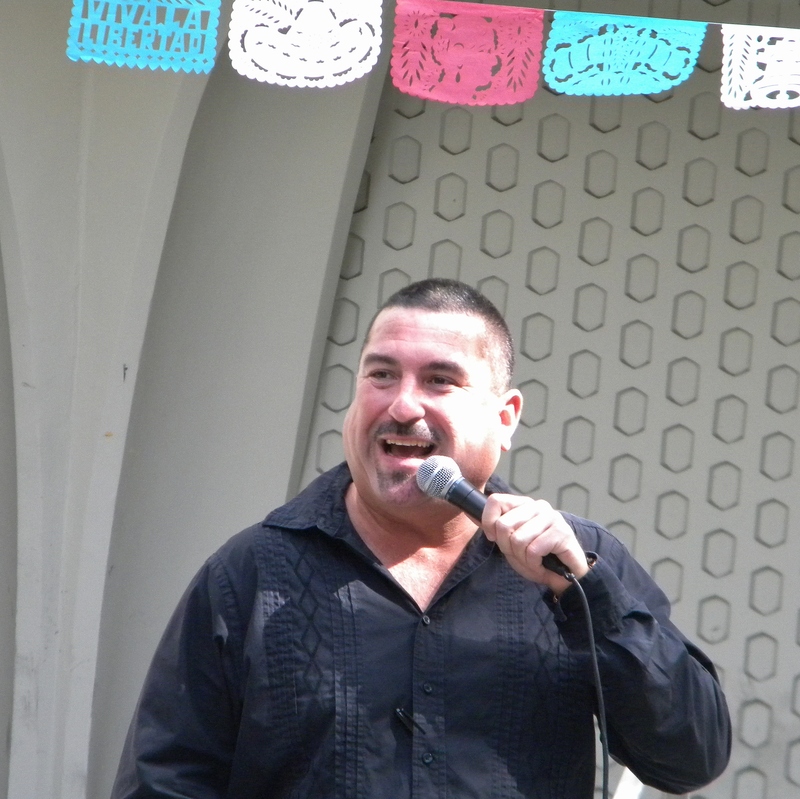 The event, for Hispanic Heritage Month, was sponsored by Mesa Cooperativa de CSUF. He ripped off jokes, such as you know you are a Latino if when your shampoo runs out, you pour some water into the battle to get another week’s worth of shampoo, but got serious while addressing the fact that many you g Latinos lack a positive role model. “Why do cholos become cholos? Because somebody influenced them to become a cholo. Why do students become college graduates? Because somebody influenced them to become college graduates,” he said. Latinos can transform the perception other people have of them by graduating college, he said. “So I want each and every one of you to know you have been given an amazing opportunity to let the world who you guys are,” he said.